Hideo Nomo Returns to Historic Dodgertown for the First Time as Japanese Hall of Famer. 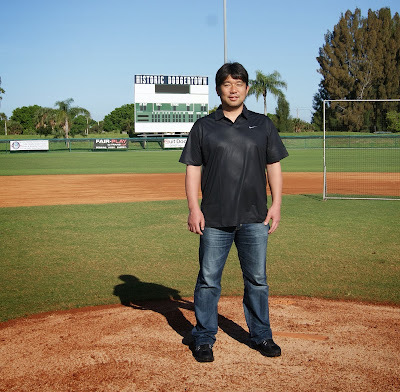 VERO BEACH, Fla. – Now a Founding Partner of Historic Dodgertown, Hideo Nomo has returned to visit the facility fresh off his election into the Japan Baseball Hall of Fame. 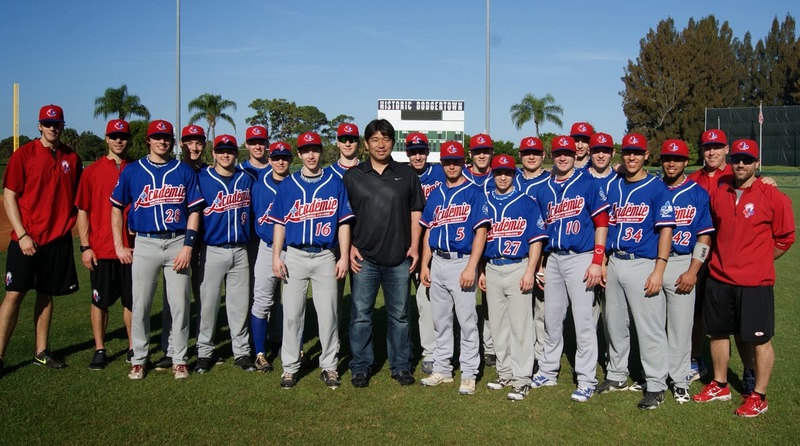 Nomo partnered with former Dodgers owner Peter O’Malley, his sister Terry O’Malley Seidler and former teammate Chan Ho Park in managing Historic Dodgertown in 2012. On January 17, 2014, Nomo became just the 3rd player to be voted into the Japan Baseball Hall of Fame in his first year of eligibility, joining Sadaharu Oh and Victor Starffin. He also is the youngest player (45 and 4 months) in Japan’s history to ever to receive induction. He pitched four seasons in the Nippon Professional League earning 17 or 18 victories each season. O’Malley, a longtime force in the growth of international baseball, signed free agent Nomo on February 13, 1995, making him the first Japan-born player to permanently relocate to the United States and Major League Baseball. “Nomomania” soon ensued as he led the league in strikeouts, finished second in E.R.A and started the All-Star Game while winning the National League Rookie of the Year. He would go on to be one of only five men to throw a no-hitter in both the National and American Leagues. His no-no’s are also the only to be thrown at Coors Field, home of the Colorado Rockies and Camden Yards, home to the Baltimore Orioles. When asked about Historic Dodgertown’s influence on his career, Nomo said, "This was the very first place that I was exposed to the Major Leagues upon joining the Dodgers. Baseball was my life, it was everything to me at that time and I was so inspired to perform well because I felt the history and the atmosphere. Historic Dodgertown was very important because much of my career was with the Dodgers, and with people like Peter O’Malley and Tommy Lasorda." On a day that included high school and college baseball, along with a junior college women’s softball tournament during his walking tour, Nomo hopes these young athletes take in the experience of playing at Historic Dodgertown. “I wish for this to be a place where people can come back to see both what it was and also what it is now. 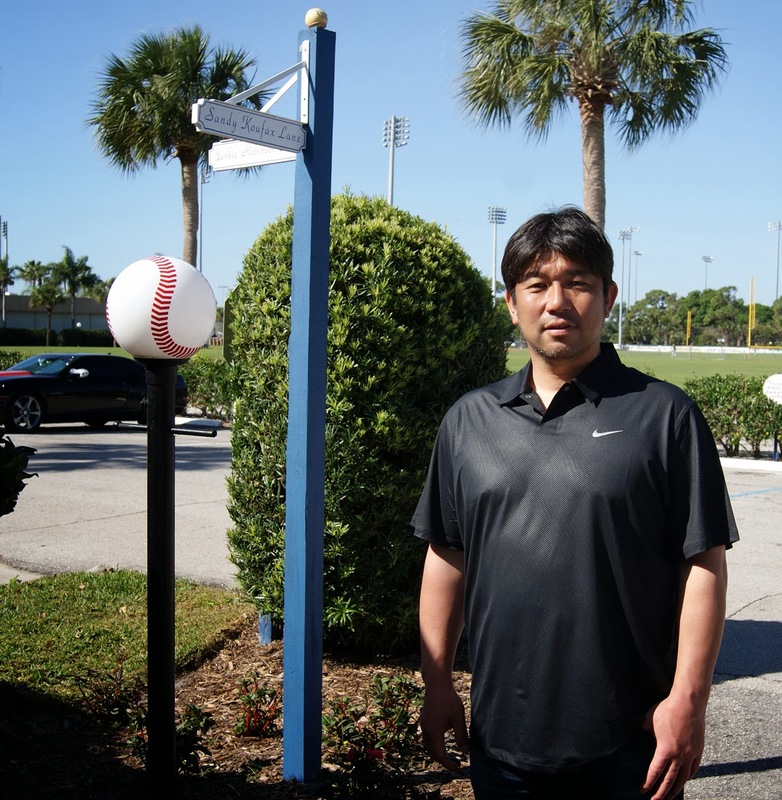 To preserve the history of a place that was home to people Jackie Robinson and Sandy Koufax is special, and I hope kids can feel the nostalgia while also creating new memories for themselves”, said Nomo. Nomo finished with 123 victories in the Major Leagues, which was preceded by 78 wins in the Nippon Professional League. A hero in Japan, Hideo Nomo opened the door to more than 40 players from Japan playing in Major League Baseball, which has since included Ichiro Suzuki and Hideki Matsui among others. Great to see Nomo back in the Dodger fold, even if it's across the country. Now, who is Victor Starffin? Nomo and vin are 2 autograph baseballs I would love to try and obtain. Hey gnomes, help a son out? nomo still has great hair! Trainers looking at Brian Wilson on the mound here. He's trying to wave them off. Hope he's okay. Oakland scores five runs in the top of the eighth to tie it. 8-8 through nine innings...and that's the game. Way to go, Blue. I remember they tried to hype up Camelback Ranch as a kind of "Dodgertown West" when it was first announced. I was hoping for the same kind of sprawling Dodgers only facility. 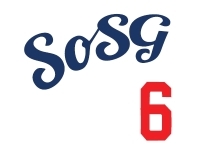 Once they announced the White Sox were going to share the site also, I have to say I was very disappointed.